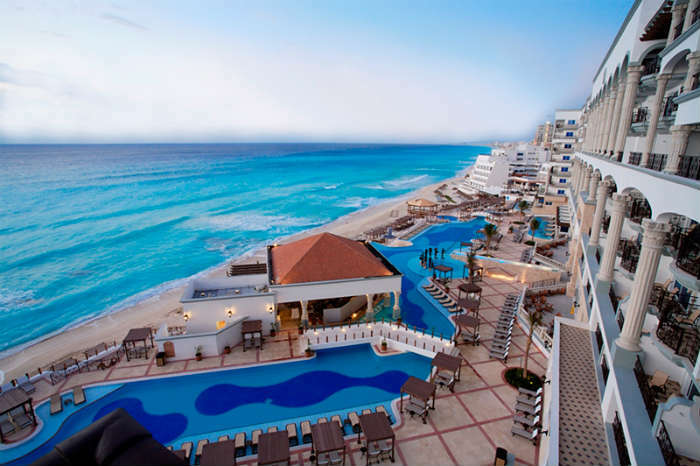 Are you heading to Cancun any time soon? If you are, imagine not having to worry about spending a penny more than you have to. All your food is sorted, you don’t have to hand over any dosh for your drinks and relaxation is at the top of the agenda for the whole holiday. Well, if that sounds perfect to you, why not go all inclusive on your next holiday to Mexico? We love the sound of just zoning out and enjoying the company of loved ones, or sitting by the pool for a week or two, so that’s why we’ve picked out 3 of the best all inclusive hotels in Cancun. Which one do you fancy going to? 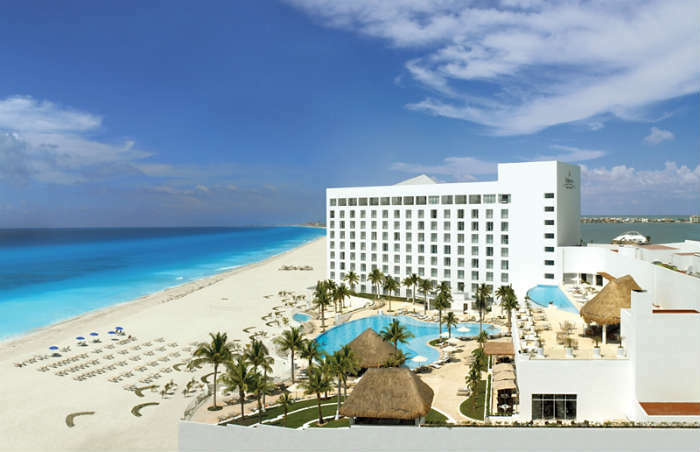 Situated with the Caribbean Sea on one side and the Nichupte Lagoon on the other, the Hyatt Zilara Cancun is the perfect all-inclusive hotel to enjoy watching sunrise and sunset over the water. Talk about romantic, hey? This hotel also has the widest part of the beach so there’s plenty of room to enjoy some space and time with your other half. If the beach isn’t where you want to spend all your holiday though, each room has a serene, airy vibe with light Egyptian cotton sheets and contrasting dark wood furniture and you’ll also get a whirlpool tub with ocean views. It’s still sounding pretty romantic, right? 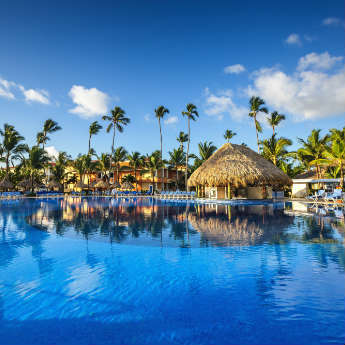 Outside, in the pool area, there are swim up bars and during the day through to the evening, there’s 6 restaurants to choose from including Pelicanos, an open air Caribbean seafood restaurant. If you want to try a tipple or two, you can even go on a tequila tasting session with the hotel’s in-house experts. When in Mexico! In need of some serious time out? If the answer is yes, then you need to go to Le Blanc Spa Resort. It’s impossible not to feel rejuvenated after a visit here. With the gorgeous spa being the main focus of this hotel, it would be almost rude not to go for a massage, of which there are 7 to choose from! There are also 5 different facials you could try out, including the super soothing Citrus Facial which aims to help replenish the skin if you find you’ve had a little too much sun. Le Blanc Spa Resort is an adults only all inclusive, so it’s not just the spa that’s appealing here. There are 4 restaurants to dine in, including the decadent Lumiere. Here, you can enjoy a 7 course menu which lets you sample many French-fusion dishes or if you want a more casual dining experience, Blanc International is the place to be for a variety of food from around the world. When the days are over, the rooms at Le Blanc Resort carry on the relaxing theme and this place is that luxurious, it even comes with a pillow menu. You have the choice of resting your head on a lavender pillow, goose feather pillow, chamomile pillow and an air pillow among other options. The room can even be scented with your choice of aromatherapy essence. We like the sound of lavender vanilla and stress relief. That’s what you come on holiday for right? And Le Blanc Spa Resort sounds like it a place where you can 100% relax. The Hard Rock Hotel in Cancun is part of the legendary chain that can be found all around the world. 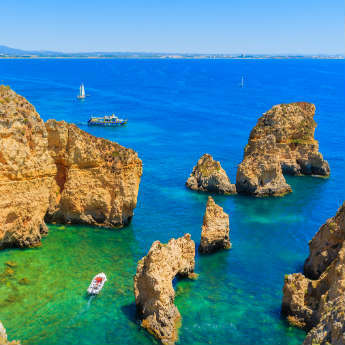 Don’t let that put you off though because this all inclusive hotel will make the accommodation part of your stay as memorable as the white beaches and turquoise sea. At the Hard Rock Hotel Cancun you’ll find 9 restaurants – yes, 9! – including Zen, a fine dining experience which offers the best in Asian cuisine, and Frida, a Mexican restaurant where you can enjoy fajitas, enchiladas and, more importantly, all the margaritas you want! If you want the ultimate in relaxation, get booked in to the Rock Spa where you can indulge in a massage or take it easy on the luxurious Bali Beds. When you’re not enjoying all the delicious food and drink on offer, or spending time in the Rock Spa, take advantage of the Hard Rock’s pools, two of which have swim up bars, or make the most of your in-room hot tub. Yes, the rooms at this hotel all have hot tubs. We told you this place would be memorable! 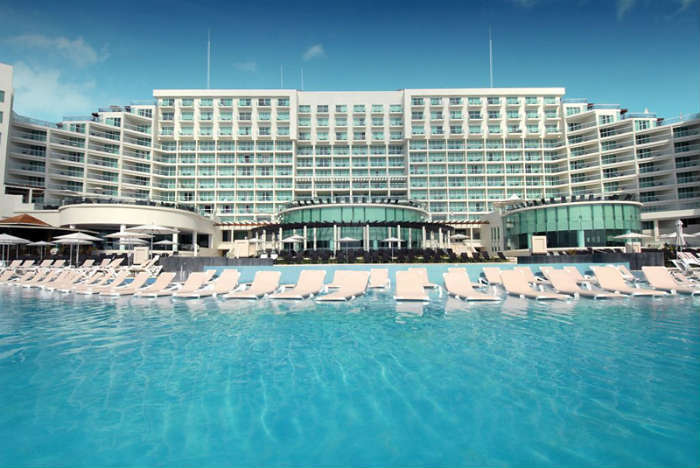 The Hard Rock Hotel Cancun isn’t just suitable for adults though, there’s a lot going on here for the young ones too. They can enjoy the kids club if they want to make friends their own age or the beach is directly across from the hotel if everyone fancies a change of scenery from the pool. So, have we tempted you to take an all inclusive holiday in one of these gorgeous hotels? Let us know if you have any other recommendations for staying in this beautiful part of Mexico!